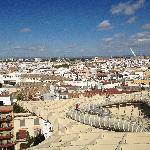 Just in front of the Cathedral, on the top of the historical centre. 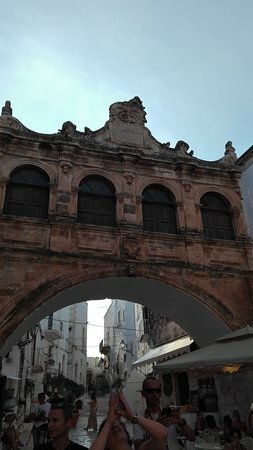 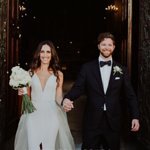 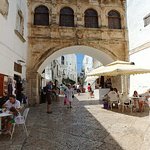 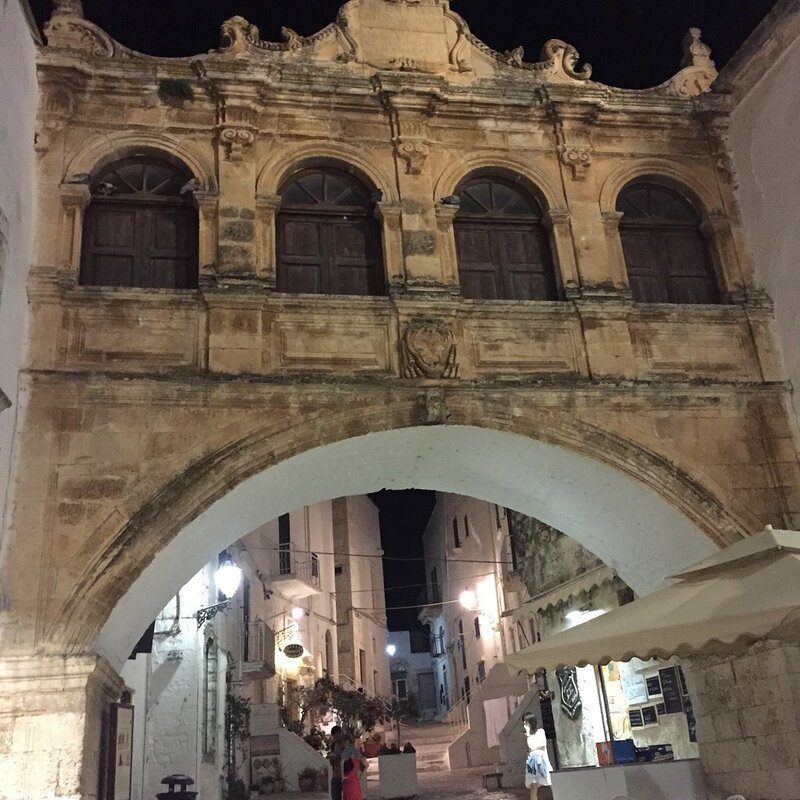 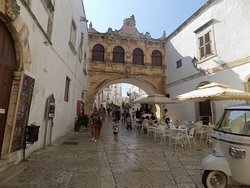 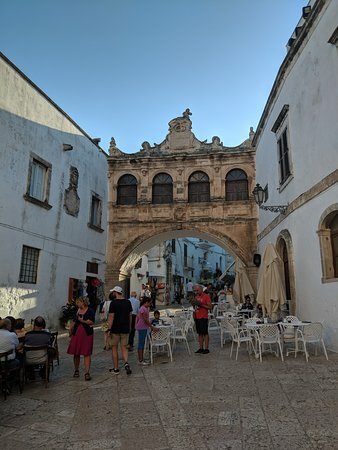 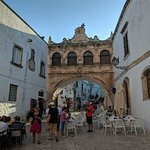 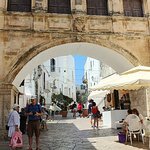 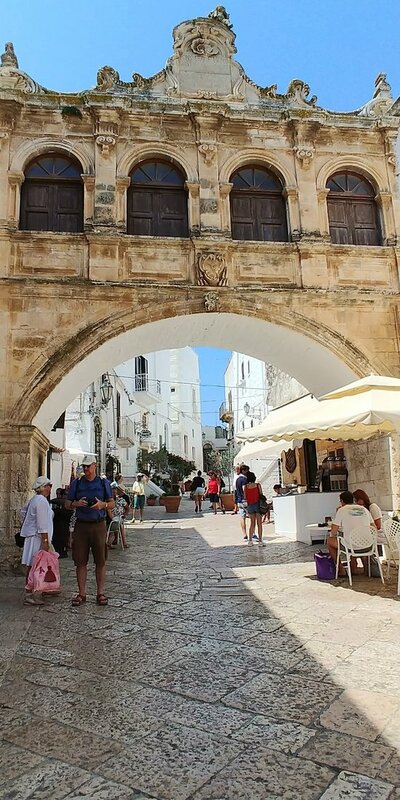 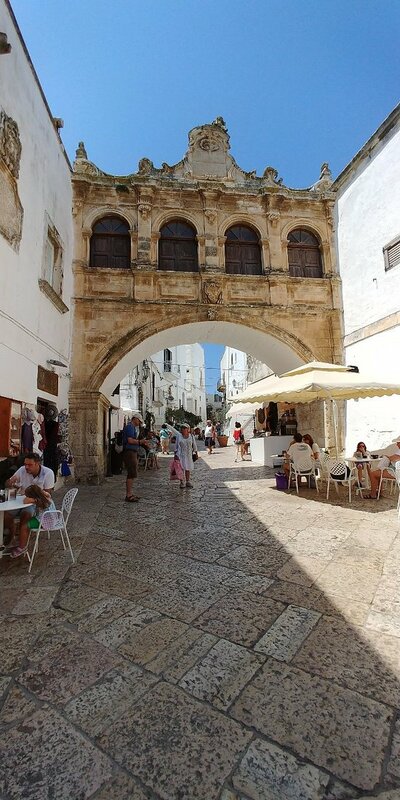 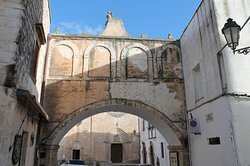 Located in the Centro Storico of Ostuni, this arch frames a gorgeous little area just outside the Cathedral of Ostuni where you can stop for an aperitivo or some lunch to soak up the Puglian culture and vibe of the town. 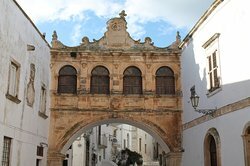 Get quick answers from Arco Scoppa staff and past visitors.